Millennials have become increasingly important in marketing, especially with the growth of digitalization. This new generation which is born between the early 1980s and the turn of the century characterizes a very different outlook about the way things are perceived. The digital revolution has drastically changed the inner/mental wiring of the Millennial Generation. This relatively younger generation is attributed to be more outward looking and progressive. Most companies now view them as a sizeable chunk of their customer base. Nowhere is the group more important than in India with respect to academia because of its demographic dividend. They are undoubtedly better educated and more tech savvy than their predecessors. Due to their proactive response towards brands, they are more likely to engage and make faster purchase decisions. Their different set of characteristics has re-defined how marketers need to engage them. What Are The Key Characteristics of Millennials? They are tech savvy by nature. Interested in more personalization of products or services. More than 50% of millennials look for a brand which signifies their true personality, something which will differentiate them from the rest. A recent Deloitte’s report found millennials to be highly ambitious with 80% aspiring to rise to the echelons of top management in corporate. The Deloitte survey also revealed that millennials are twice as likely as their parents to start a business venture of their own which in a way that indicates their risk-taking capabilities. Millennials like to experience new things in a global world that can improve their quality of life. They are at much ease in engaging with strangers and reaching out to new friends and associates across the globe. So where does all this information lead academic marketers? It is obvious that no matter how big or small your institution is, you will still need to reach out to this large demographic population of young buyers. All this is, in fact, leading academic brands to now change their marketing strategies for engaging this new generation. Let us see some of the useful tips that are important for educational institutions while marketing educational products to millennial. Remember, your institution is going to shape someone’s career and perhaps his / her entire life. The best way to connect with millennials is to have a meaningful content which is reflective of your core values. Millennials don’t want to be marketed through clickbait content. These simply fall flat because its main purpose is to attract attention and encourage visitors to click on a link landing them to a particular web page. While marketing to millennials doesn’t just talk about your product. Create content that is shareable and valuable to the prospective student. Understand that your target audience is relatively very well-informed due to digitalization of information. So, do not try to fool around. They are more likely to look for pieces of evidence to cross-validate your messages through other sources. Due to their tech-savvy behavior, it is possible that some of your traditional marketing methods like print and TV ads may not work nowadays on some occasions. This does not imply that you completely do away with them. But you will certainly have to re-strategize your advertising mix and allocate budgets accordingly. Millennial prefer direct messaging over emotional or mystic content. They are more interested to know clearly how of your educational product can be life-changing for them and what is the return on investment that they will get. They don’t want something which makes lofty promises and they are keener on receiving evidence-based information. They are even willing to share it with friends or others if found useful. Millennial are friendlier with online interfaces. So, make sure that your admission process has an automated online interface available both for making payments and also for managing CRM for better admission engagement. You need to make it easy for them to pay fees online and ensure including latest payment services like Paypal, Paytm and other autopay systems. Use of latest trends in technology can eventually prove to be a key differentiator for your brand while marketing to millennials. 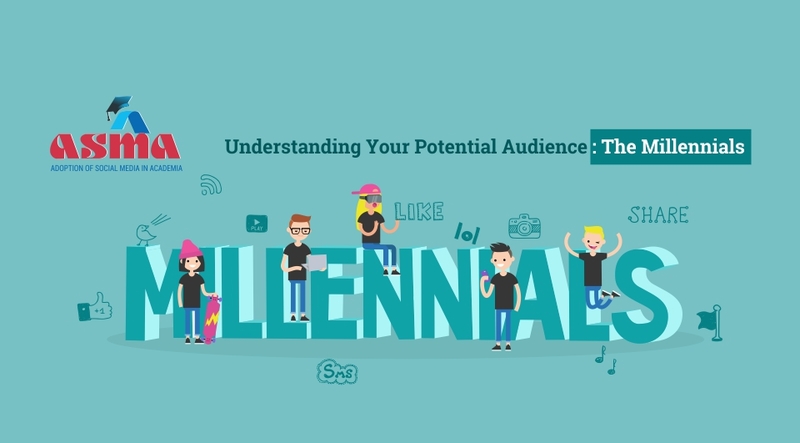 Millennials like to talk and engage through social media technologies and if your institute does not have an enabling environment for that, you’re most likely going to miss out a large chunk of prospective takers for your brand. Finally, be ready to change as the time changes. Marketers working for educational brands need to realize the fact that they are talking with one of the most dynamic generations of all times. They, therefore, should keep re-inventing their approach to engage potential students otherwise they will soon be left behind. Never before has it been so crucial to understand your target customer and be able to proactively respond to its requirements. For education sector, marketing effectively to millennials is important due to its demographic advantage. Internet of things (IoT) is redefining consumer landscape at a fast rate and continues to do so with Millenials at its forefront. This emerging trend perhaps calls for a newly integrated marketing strategy in the education vertical to spot influencers or best talents for your brand.